Deepak Govind Singare from Ambajogai, BVSC Graduate. ANIMAL HUSBANDRY ANIMAL NUTRITION VETERINARY HEALTH CA.. VETERINARY DOCTOR VETERINARY TECHNIQUE.. POUTRY DAIRY TREATME.. FEEDING AND MANAGE T..
are one of expert skill area's of Deepak Govind Singare . 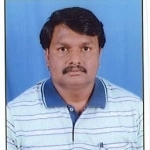 Deepak Govind Singare is working in Others industry.